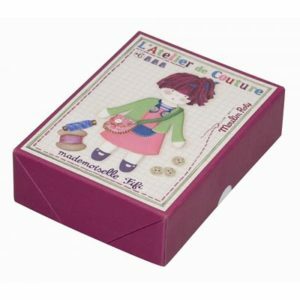 The small Plume doll is a soft bodied rag doll with brown hair and brown eyes. 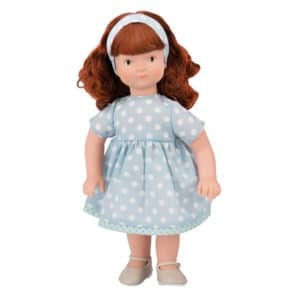 She is wearing a cotton dress in blue and red with a star and bird print (her dress is removable) and her outfit is finished with blue felt and ribbon shoes. 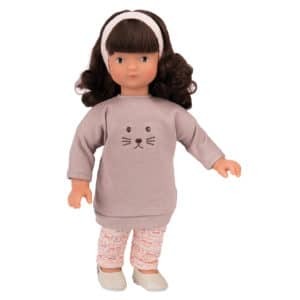 Her body is made of jersey & and she has embroidered eyes and hand painted facial features. 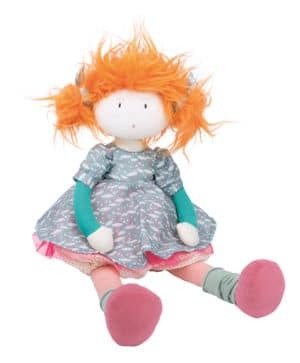 Such a great size for little hands to hold, Petite Plume would make a lovely companion for your child. 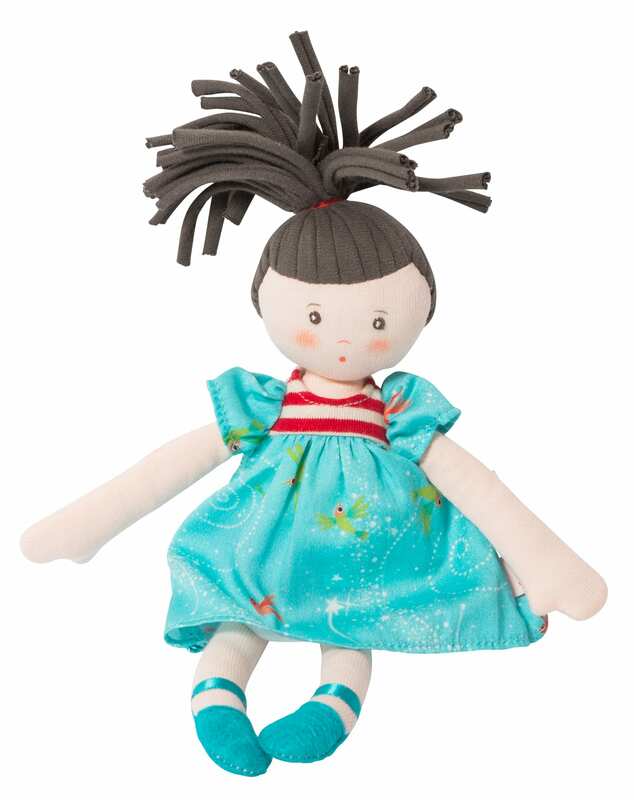 Dolls are great for pretend play, which helps to develop imagination, problem solving, verbal skills and self care skills.